Setting up a lock screen, whether a password, pin, pattern or fingerprint on your device is a great security mechanism to protect your important information and privacy. But, what if you forgot your lock screen password? There is no doubt that it is the most frustrating and annoying situation when you can't access your phone and its data. Luckily, there are now many methods you can use to recover your device screen lock password. 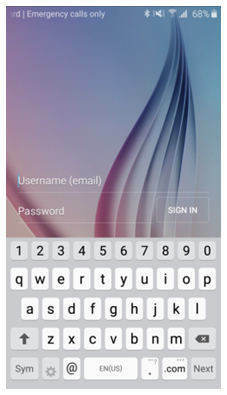 But, using the third-party tools is more reliable and effective to recover Android lock screen password. If you are somehow locked out of your device, then the best help you can get is from Tenorshare 4uKey - Android Screen Unlocker. This software is specially designed to help Android users to unlock their device. This password recovery tool can be used on a variety of Android devices advertently and it is 100% safe. The software is reliable and makes sure that your device is unlocked with just one click. Now, you never have to worry about being locked out of your device as you can easily unlock any Android phone with this smart and efficient tool. The various features of the device are given below to help you understand why this is one of the best tools to recover Android lock screen password. Whether you forgot your passcode, got a second-hand device, or your phone is physically damaged, the software can recover the password under all conditions. The users can also recover the device when the phone is disabled. The software is fully capable of removing various types of screen locks including the pattern, PIN code, normal password, and fingerprint scanner lock. The software can be helpful to the people who don't even have professional knowledge of such tools. The software prepares a test profile for every Android device. The test profile is created before the software tries to bypass the lock screen. The Operating System of the device is automatically detected by the software and it performs the next operation itself to avoid the situation of bricking your phone when its screen lock is reset. The software can help the users to unlock their device made by different brands like Samsung, Motorola, HTC, Sony, LG, Google, Oppo, Vivo, Lenovo, Huawei, ZTE, One Plus, etc. With this big list of device support, the users can easily unlock their device. The software is 100% efficient and provides a guarantee to help the users to unlock the Android device. It can be used to make the device accessible which operates on even the oldest Android OS versions. You will get free updates of the software for a lifetime. The recovery method is secure and safe. Tenorshare 4uKey for Android is a reliable and professional Android Unlocker that helps you to remove screen lock on your device easily and quickly. When it comes to password recovery on an Android device, the tool stands out from a huge crowd. Step 1 To commence the process, go to the software official site and download it on your computer. After that, install and launch it to get the main window of the software as shown in the below figure. Step 2 Next, connect your device to the computer with the help of a digital cable. The software will give you a notification once the device is detected successfully by it. Note: Make sure to turn on USB debugging mode on your device before you connect to the system. 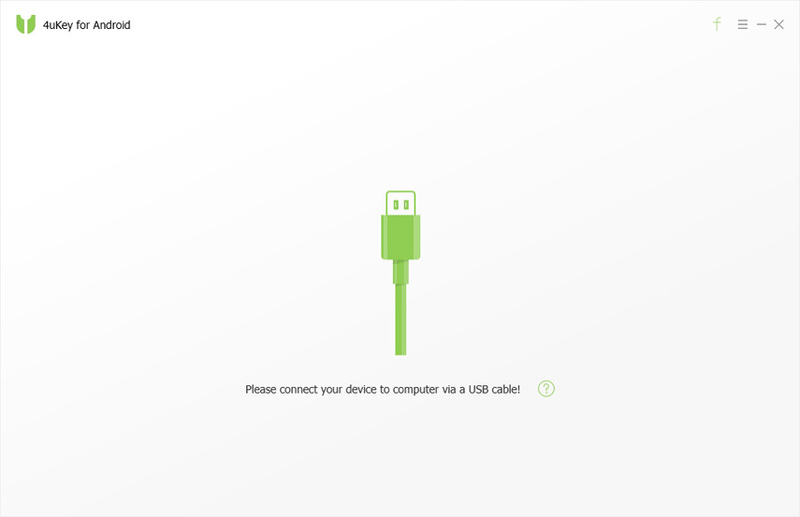 To turn on USB debugging option, move to "Settings">"Developer Options">"Turn on USB Debugging". Step 3 On the next screen, click on the "Remove" button to begin the password or lock screen removal process for your phone. This will download the necessary package in order to recover the lock screen password on your device. Step 4 After that, you will get a pop-up for confirmation that whether you are sure to remove the password or not. So, tap on the "OK" button to complete the procedure. Step 5 After the password removal process, put your device into recovery mode by following the instructions available on the software interface. Step 6 After that, choose "wipe data/factory reset" option and finally, reboot your device. Now, you can set a new password on your phone. That's how you can recover your Android device password lock screen. As you have seen yourself how much it is easy to get access into your locked Android phone with the help of 4uKey for Android. However, this method will erase your device existing data in order to do passcode recovery. Nevertheless, it is simples and effective way to recover device lock screen password or bypass device lock screen. SThat's all on how you can perform password recovery with the help of the finest Android screen lock password recovery software. There are a lot of Android screen lock password removal tools available on the internet, but it is Tenorshare 4uKey - Android Password Recovery that will help you to remove any type of Android screen lock without any trouble. That's why this software is highly recommended to use when it comes to removing the lock screen password on an Android device.